Physician Lim Sor San graduated from Singapore Chinese Medicine Institute in the year 1991, following that she had been to Kun Ming, Cheng Du, Xia Men to practice medicine. 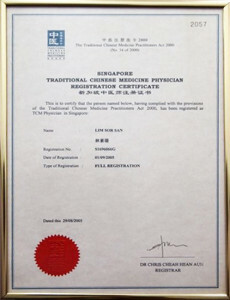 Physician Lim Sor San established Time Enterprise Pte Ltd in 1994 and started practising until now. 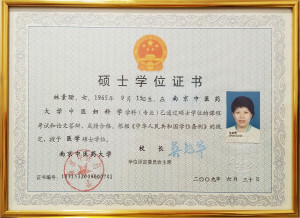 In the year 2009, Physician Lim Sor San obtained her Master degree in Chinese Medicine at Nanjing University and she is currently pursuing her PhD degree in Nanjing University of Chinese Medicine. 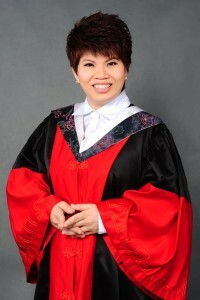 During clinical practice, Physician Lim Sor San emphasizes much on mental and physical balance, especially the quality of sleep and emotional well being. 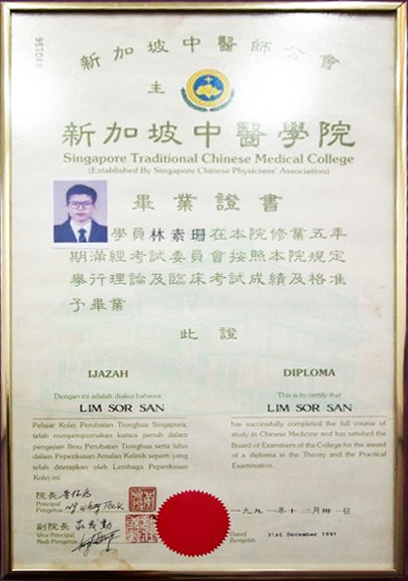 Therefore, for every patient who goes to her clinic, Physician Lim Sor San will ask in detail about their medical history as there have been many times where diseases arose from their imbalanced lifestyle, eating habits and emotional feelings. 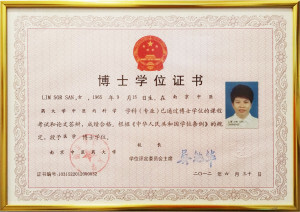 Due to our body and emotionss being inter-related, an imbalanced lifestyle can result in illnesses.